DP8120 is a professional embedded 2D scanning platform, can read various screen brightness of the phones 1D 2D barcodes. Large window design, large viewing angle, support all kinds of screen size mobile phones. Excellent performance provides users with very comfortable using experience. ☆ Professional mobile phones barcode scanning, support various sizes , different screen brightness of phones, can be used to read various sticking mobile phones. 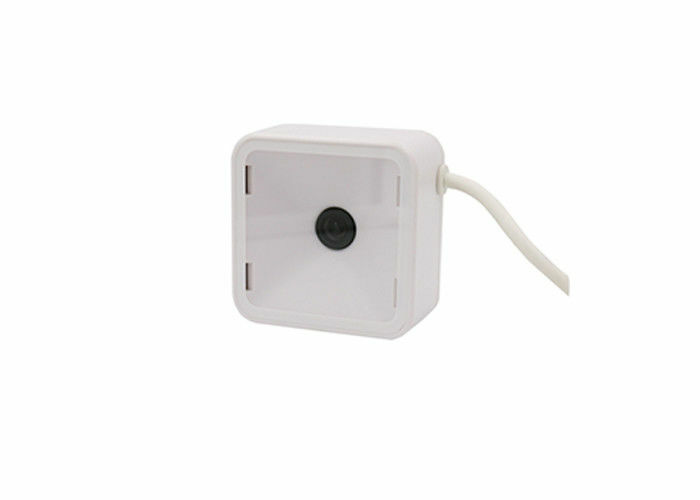 ☆ Ultra-sensitive auto sense scanning, built-in ultra-sensitive sense module, scan barcodes quickly. ☆ Large window design, large viewing angle of 115 ° * 90 °, ultra-thin fashion design, can be easy to integrate into a limited space. ☆ Soft lighting, soft, not dazzling. ☆ Support interface: USB, RS232. Widely used in industry, commerce, transportation, finance, medical and health, tobacco industry, mobile payment and office automation. DongGuan Ding Feng Intelligent Electronic Technology CO.,Ltd. was located in DongGuanCity,is a research and development, production, sale and service of high-tech enterprises. Our company specializes in producing industrial and commercial barcode identification equipment,such as OEM Scan Engine, Fixed Mount Barcode Scanner, Handheld Barcode Scanner,Intelligent Barcode Scanner,High-speed image scanner etc. We have CE,RoHS,FCC,ISO9001, ISO14001,IP54 etc.,and pass Grade I National Standard for Laser Safty certification. Our customers spreads across Southeast Asia,Middle East, Europe,North and South America,Oceania ,Africa.We commit ourselves to delivering the best products and services to our customers. Q: How can i print my logo on scanner? how much ?